A £30m funding proposal to upgrade the area on the A22 (around Junction 6 of the M25) could be submitted to the Government in March. Tandridge District Council (TDC) said it is working with Homes England, the Highways Agency and Surrey and West Sussex county councils to draw up a "detailed business case" for the idea. The road improvements would be needed to support the authority's controversial proposal for a 4000-home garden community in South Godstone. Feasibility studies are currently being carried out and a £30m funding bid is expected to be submitted to central government's Housing infrastructure fund. In Felbridge, the council is focusing on how more vehicles can use the southbound A22. TDC has not provided further details about plans for the junction with the M25; however it is thought this could be to improve the area around Junction 6 at Godstone, where the A22, A25 and M25 intersect. A TDC spokesman said: "Upgrades to the two respective junctions refer to works planned to increase capacity at these locations. Feasibility work is currently being undertaken on both junctions to find the best and most cost effective solution. "In Felbridge the study is looking at how capacity can be increased to the A22 southbound to East Grinstead (junction with the A264). It is anticipated that both studies will be available around March." The Local Plan refers to improvements and "mitigation" to junctions right along the A22 from the M25 down to Felbridge being "implemented where needed". It also says the building of an internal spine road to minimise the number of vehicles on the South Godstone stretch of the A22 should be explored. 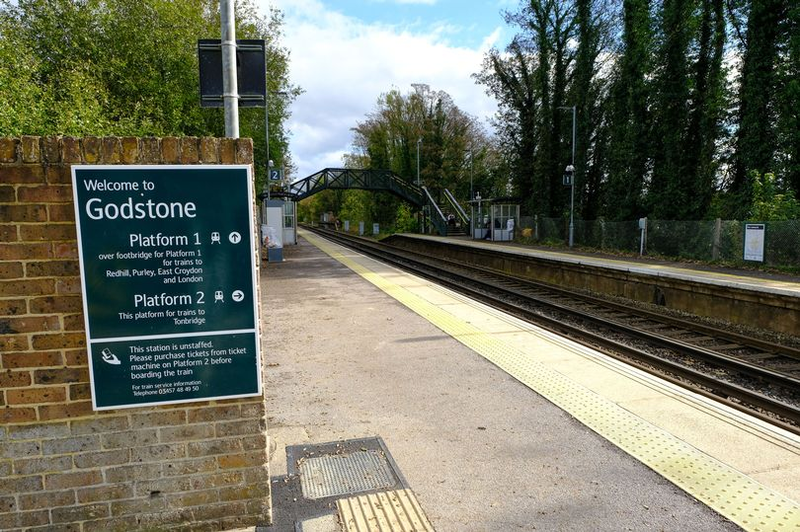 Network Rail have confirmed they have had meetings with Tandridge District Council regarding a proposed upgrade to Godstone station as part of proposed transport improvements in connection with plans for the 4000 home Garden Community in South Godstone. Discussions have taken place regarding rail capacity, service frequency, strategic improvements on the rail network and upgrades to station facilities.